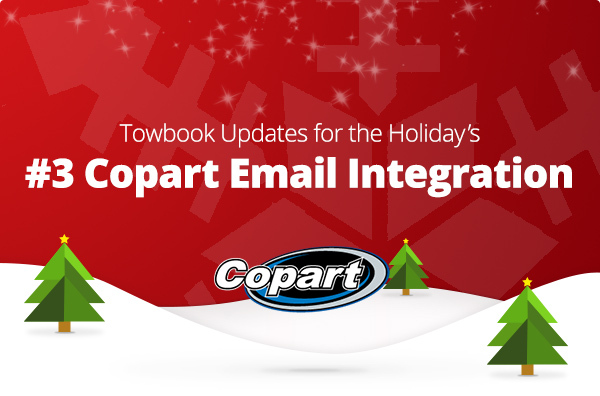 We’ve added Copart to the list of companies who can email jobs to your Towbook account and the system will automatically create a new call for you – no more manual data entry! If you’re using the Towbook feature that allows motor clubs, rental car companies and other large accounts to email calls to you, you can begin having Copart send your calls the same way. Towbook will automatically create a new call in dispatching and add the details so you don’t have to enter the data manually. For information about how to add this service to your Towbook account, please contact us at: support@towbook.com. If you have other accounts that email calls to you regularly, please let us known and we’ll see of we can add them to the Towbook email service so your calls can be created automatically.